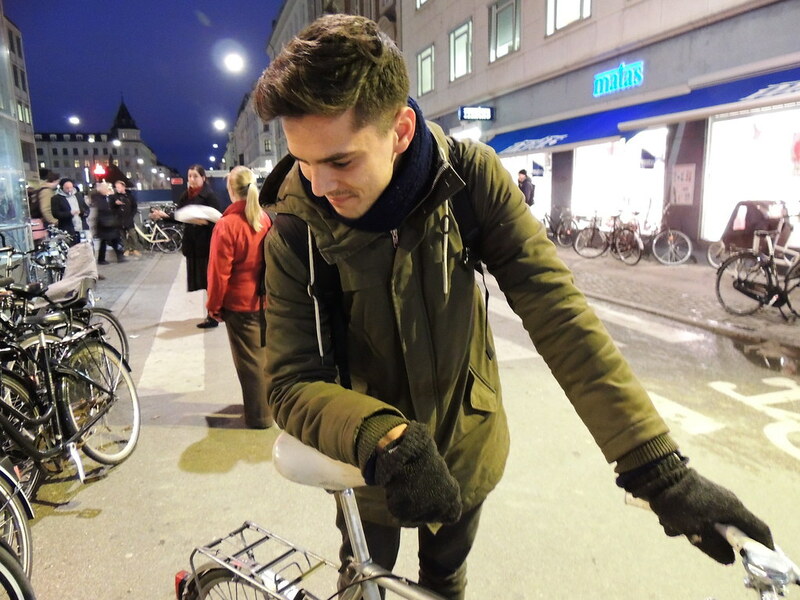 Cycle Chic®: One Magic Bike Night in Copenhagen - oh, Movember! 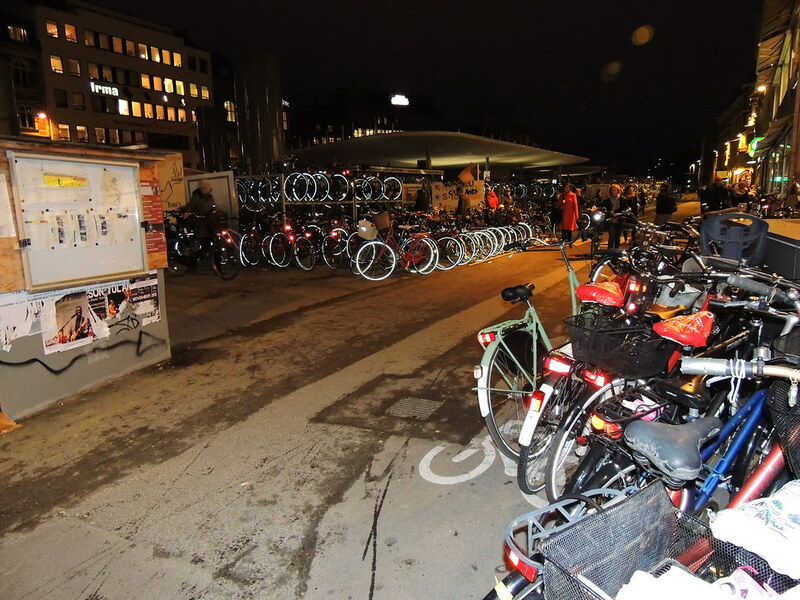 One Magic Bike Night in Copenhagen - oh, Movember! 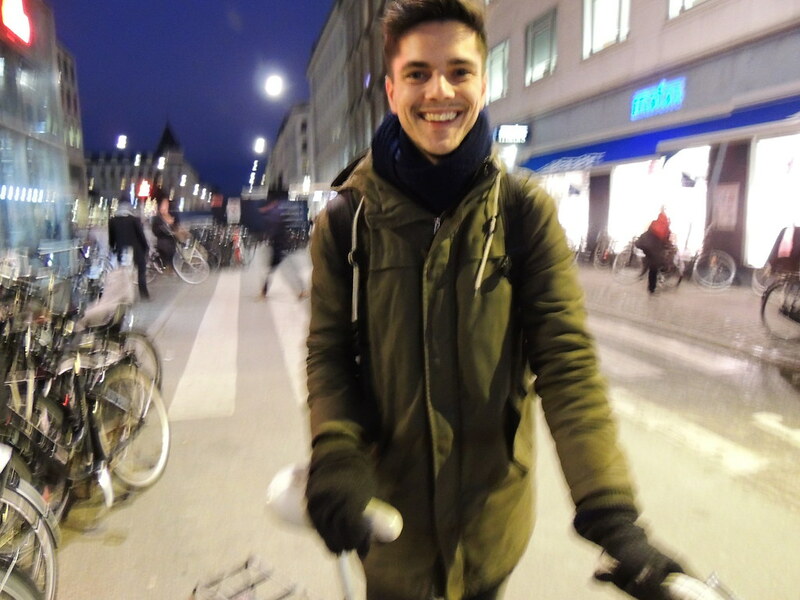 Chicky Grill – in Copenhagen Meatpacking District! 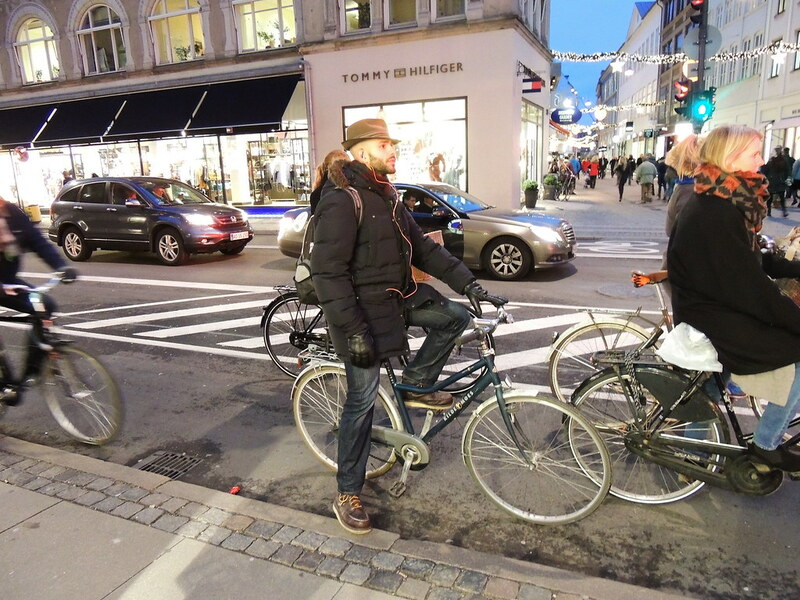 Above: Fashionable man with an Italiano hat – combined with practical down jacket and winter boots. 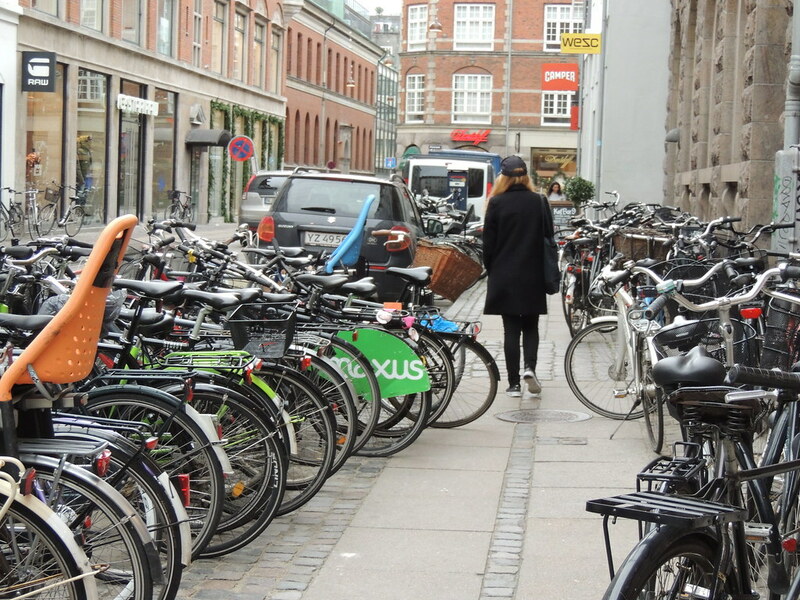 Cool Girl walking in the middle of bicycles. 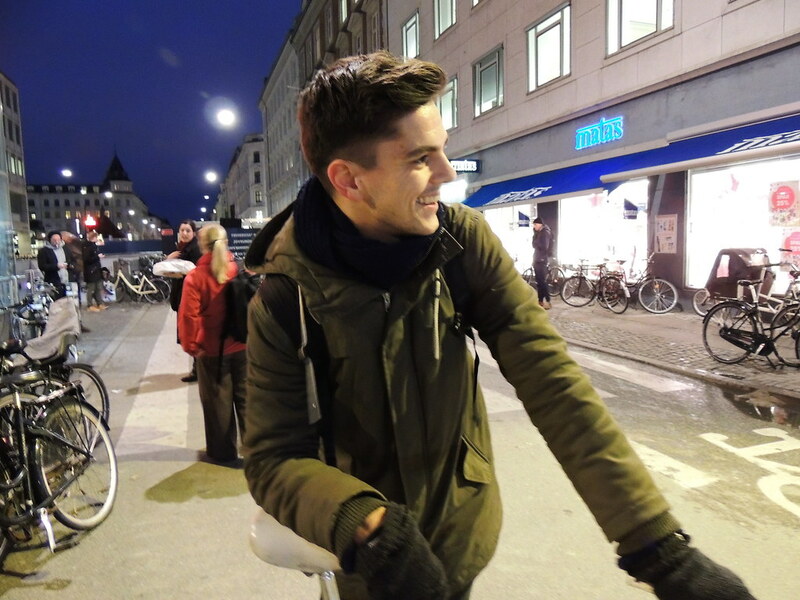 Trendy Copenhagen Guy – also a Movember Man, maybe all year round? 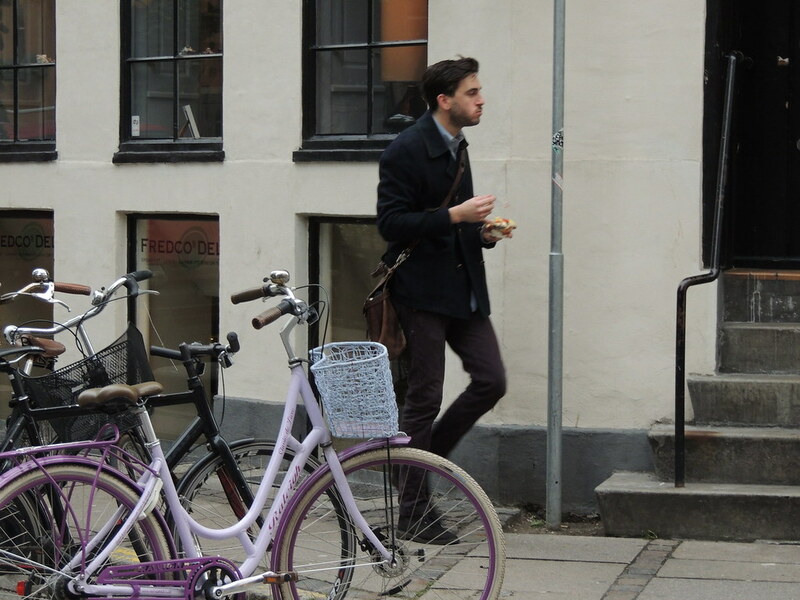 (O: Enjoying Danish pastry, when passing a purple bike. You take care, over & out here from cphblonde.com!